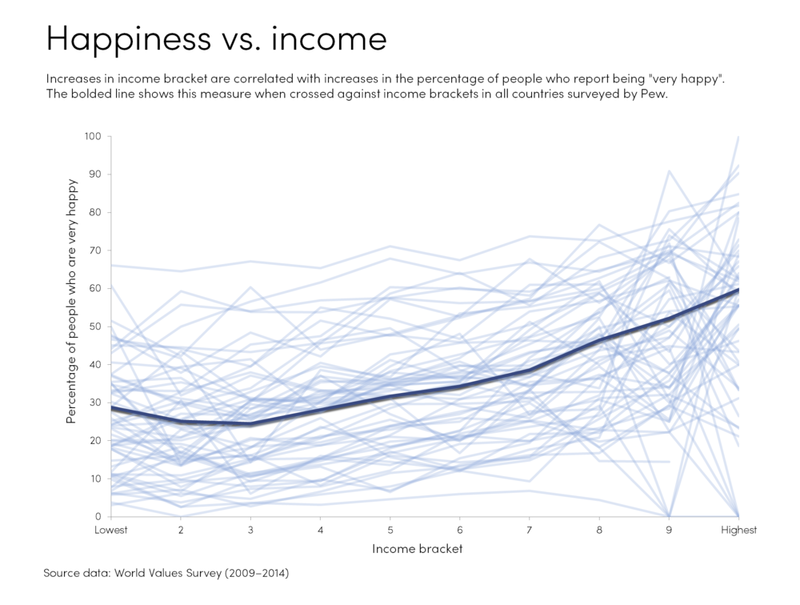 Egypt was excluded from the Middle East and North Africa (MENA) due to the abnormally low levels of happiness it experienced at the time the survey was carried out (2012). 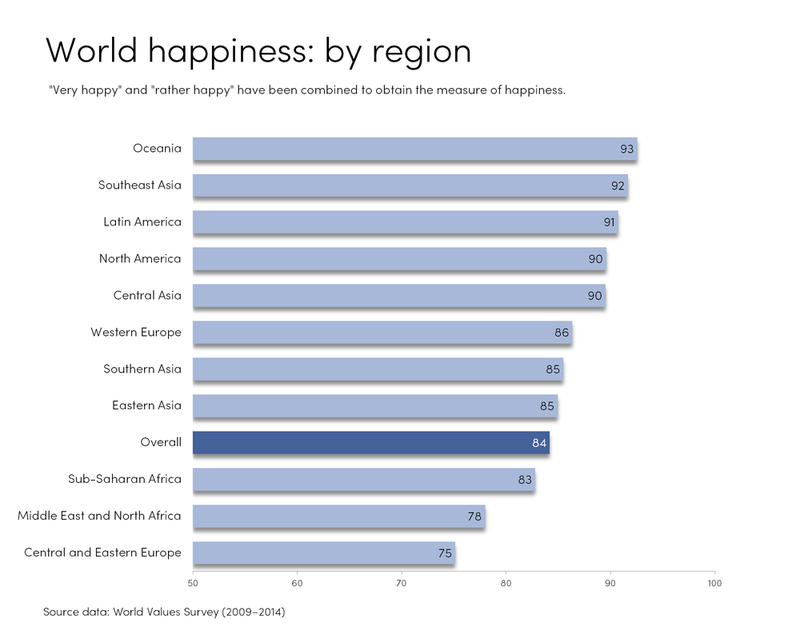 The countries with the highest amount of happiness are Qatar (98%) and Uzbekistan (96%), while the lowest level of happiness are in Iraq (68%) and Ukraine (68%). Because North America is composed exclusively of the United States, it is dominated by the low levels of complete trust in family found there. 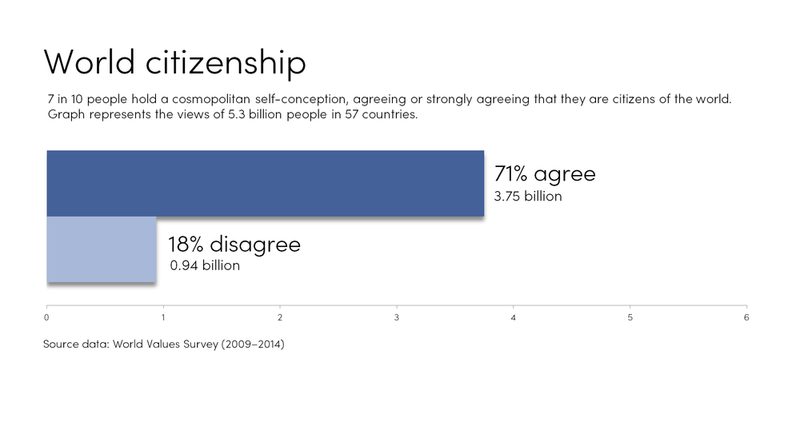 When examined on a global view, however, five countries surveyed have lower or equivalent levels of familial trust than the United States: Netherlands (59%), Azerbaijan (65%), Lebanon (65%), Ghana (67%), and Poland (69%). The highest levels of familial trust are found in Egypt (99%). Uzbekistan (97%), Iraq (97%), Kyrgyzstan (96%), and Armenia (96%). Percentages in the graphs don't always total to 100% due to alternative options for answers, being unsure, failures to respond, and so on. 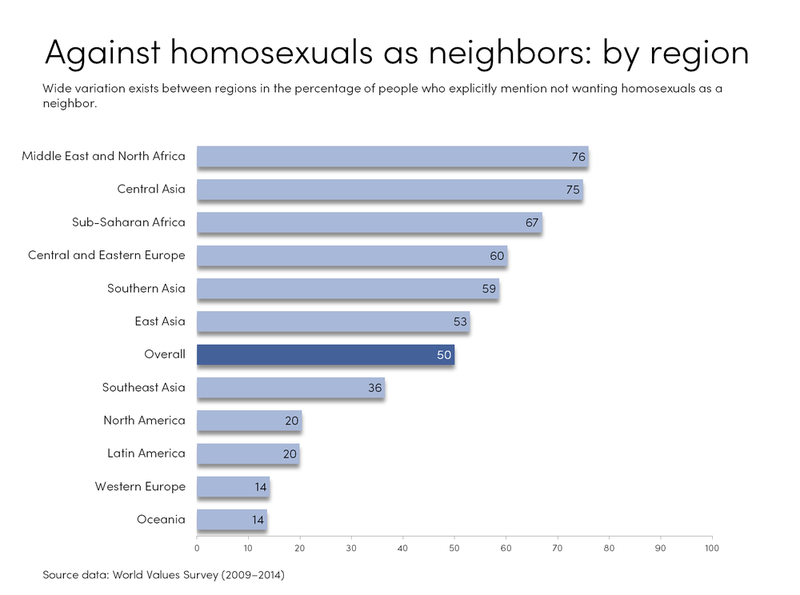 More information about the sample sizes, margins of error for individual countries, and research methodology for data obtained from the World Values Survey can be found at the website. Information regarding the total size of a country's population was needed to calculate the aggregate regional and overall percentages. This was obtained from the CIA World Factbook. 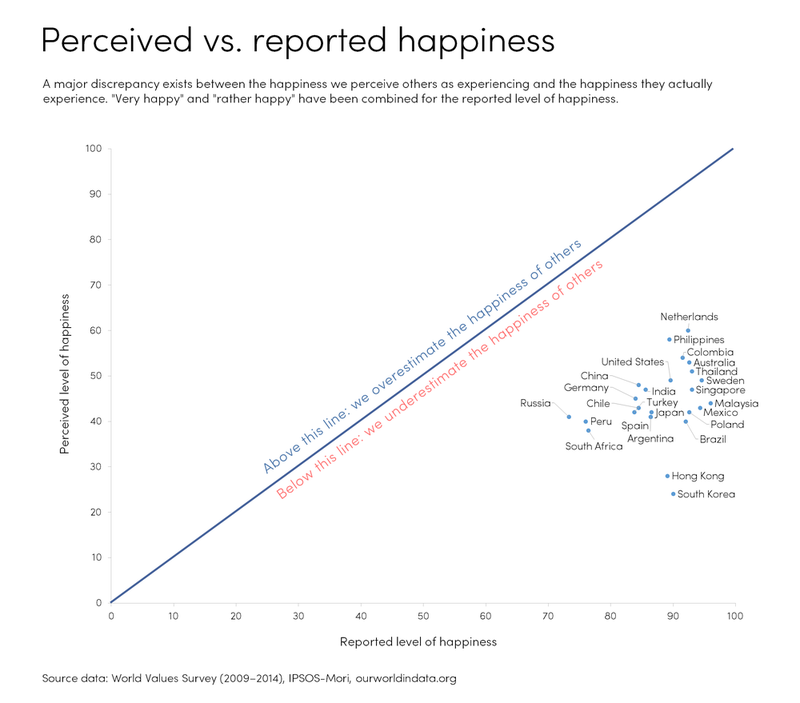 All credit for the “perceived vs reported happiness” finding sits with Our World in Data.